At last week’s National Water Forum 2019 in Adelaide, the state’s Branch Head of Water Licensing, Mike Fuller, presented on the reform of South Australia’s water licensing business and the delivery of a modern online Water Register. 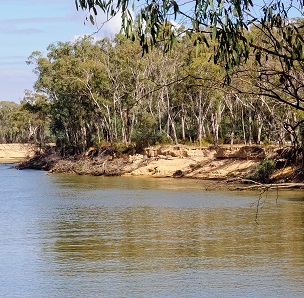 The Department for Environment and Water (DEW) secured funding in early 2019 for a $14.7m Water Management Solutions Program which will benefit water users and participants in South Australia’s water market and automate and improve statewide and interstate water trading. ICE WarM worked with DEW in 2017 (then DEWNR), to facilitate as series of engagement workshops with stakeholders including financial institutions, water traders, growers and brokers. These sessions concluded in October 2018, providing valuable insights into the needs and priorities of industry and confirmed the value of reform in this space. The new system is expected to be operational by mid 2021 with its development being led by the Water Management Solutions team within the Department for Environment and Water in collaboration with industry stakeholders. The $14.7 million program is jointly funded by the Australian Government and the South Australian Government.